home > ‘Tis the season: Christmas in July! ‘Tis the season: Christmas in July! OK, ‘fess up…who gets a jingly little tingle of excitement this time of year? We’re halfway to the holidays! As of today, only 166 days left until Christmas. 😉 And plenty of new temp-tations in seasonal patterns (including NEW Festive-fetti!) to help you get a head start on the holidays. I know plenty of people who don’t like to rush the holiday. And I agree, there’s a certain magic to the hustle and bustle and merriment of December that just can’t be duplicated. But for me, Christmas in July has always been about changing up routines and finding little ways to celebrate the unexpected. Kind of like how I always got so excited about “opposite day” when I was little. It’s FUN to break out of the day-to-day! And, judging from all the fun Christmas in July excitement on Pinterest, there’s at least a few busy elves out there who agree. And I’m one of them! 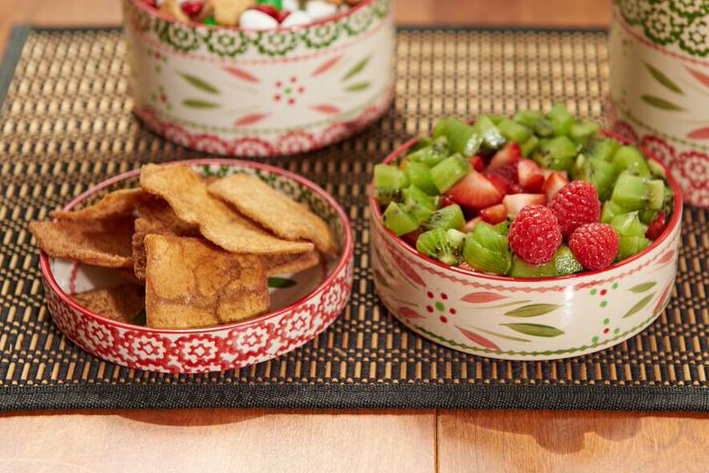 So, even though the thermometer may be saying HOT, HOT, HOT, here are some ideas for serving up some HO, HO, HO with summertime snacks that combine the best of seasonal flavors and a festive Christmas in July twist. A classic, any time of the year! 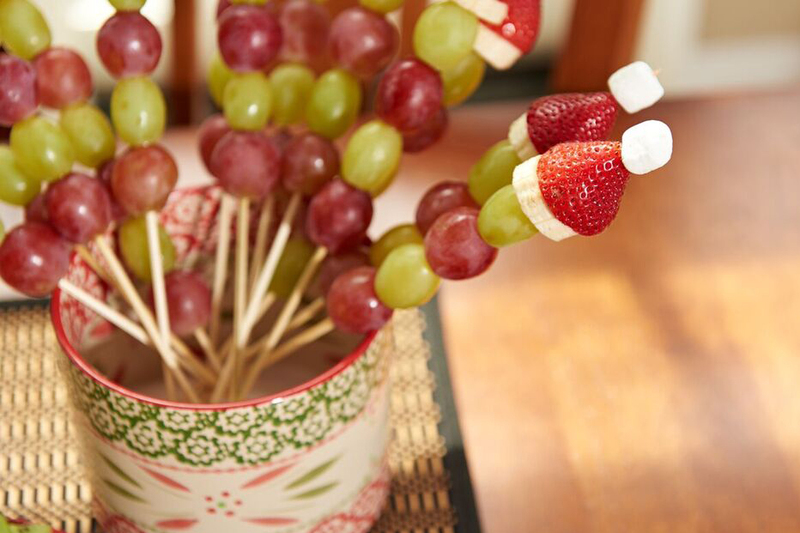 Make this festive treat even more refreshing for summer by freezing the grapes first. This mix makes for fun (and easy!) 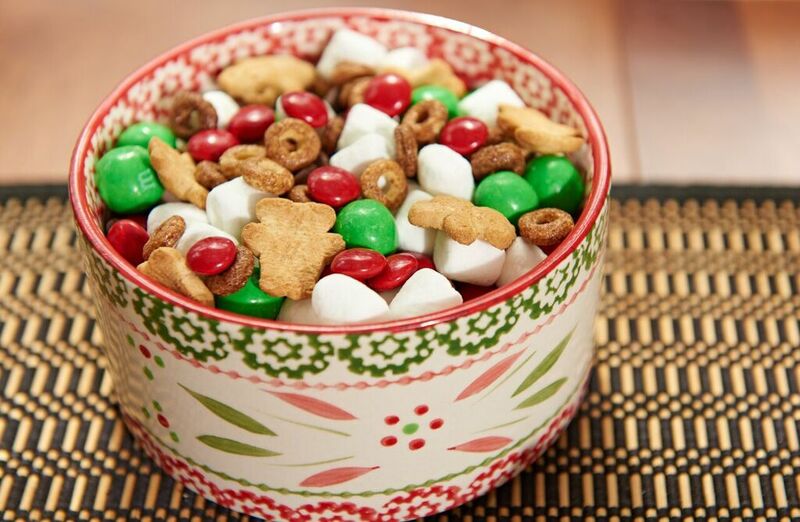 snacking, whether you’re gathered around the camp fire or a fireplace decked with Christmas stockings. Try this yummy twist on traditional salsa. The flavors are delish, and I love how you can garnish it with fresh kiwi to look like a festive Christmas wreath…but not for long. This dip is always the first to disappear! What about you? 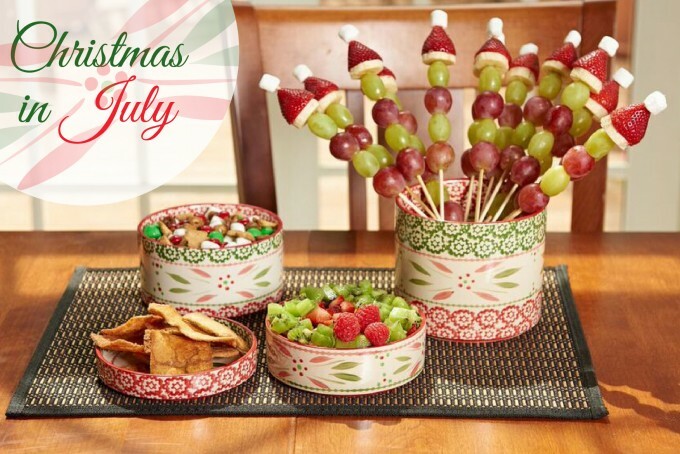 Have you ever served up a festive Christmas in July feast…or “decked the yard” for a Halfway to the Holidays BBQ? Share your stories in the comments section…I always love to hear how you celebrate the season. And Merry Christmas in July to all!